I hope you all enjoyed yesterdays stuffed squash!! I told you I would be eating the leftovers in a “deconstructed” stuffed acorn squash fashion and that’s just what I had Monday night for dinner!! It was just as great as the first night! 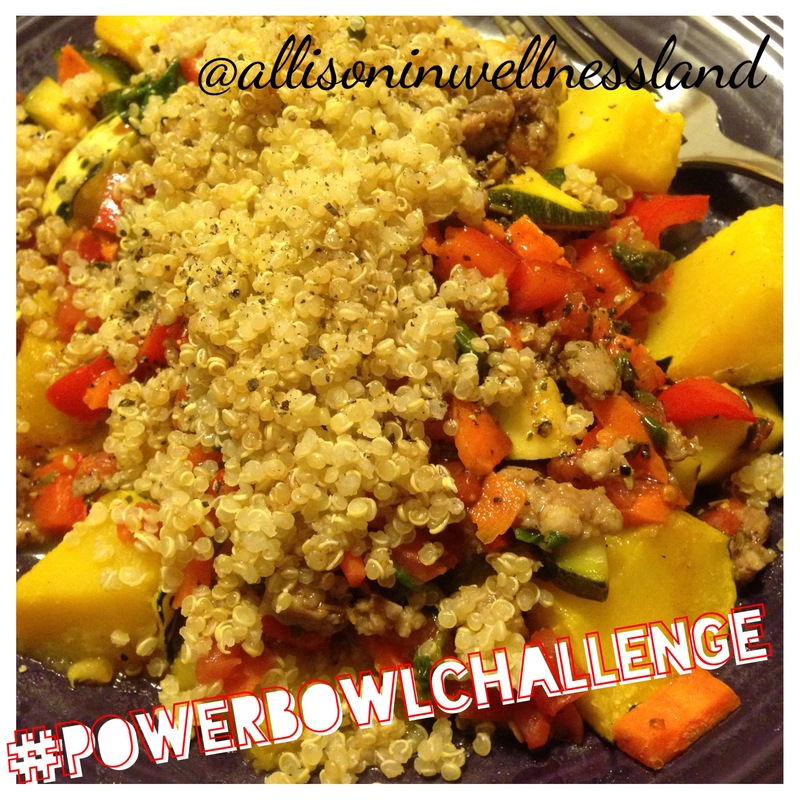 Todays wellnesswednesday has had me excited since I started this whole series. I love GREEN foods and all of the health benefits they provide. I have to say each week it is hard to pick a food to feature but this week was especially difficult. To give you an idea I went from brussel sprouts ( a new found favorite food), spinach, kale, zucchini, broccoli, then back to KALE! I have to admit my first trip down Kale-Lane was not a pretty one. I remember hearing SO much about it, and thought “HECK I CAN EAT THAT especially if its good for me!”… so I prepared a kale salad of sorts for a week of work… Monday came I tried the salad and HATED IT, I took one bite and spit it out, in this recipe I did not cook the kale rather it was supposed to break down in the lemon, WRONG, it definitely didn’t and this was the dinosaur variety kale which in my opinion has the strongest taste. Needless to say I tossed this salad, made something else and put kale on the backburner for a few months. I then experimented with baby kale, the thinner leaves and less developed flavors really helped me get a good taste for this superfood! I have since branched off to other kale-varieties and can eat the dinosaur kale again (cooked or raw) with continuing to love it. So my recommendation take BABY steps into the wonderful world of kale! The recipe I am going to share with you today will be a GREAT first kale recipe with any type of kale! Antioxidants & fiber to help decrease risk of heart disease – ESPECAILLY if kale is cooked not raw!!! 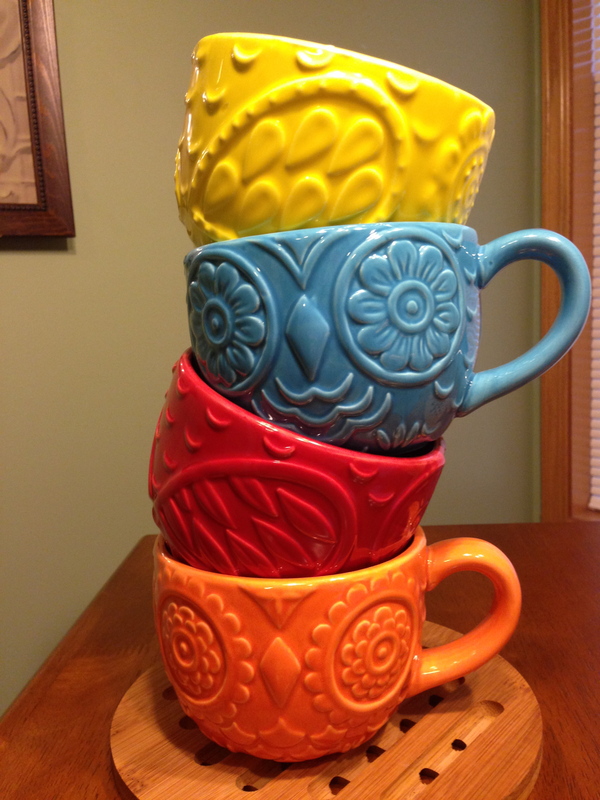 Win one for cooking kale! Immune system boost – has more IRON than beef which helps bring more oxygen to the blood and helps anemic! Healthy balance of omega-3 & omega-6 fatty acids for a stronger body, hair, skin & nails! OK my kale recipe was again hard to pick! I love Kale Chips, Kale in smoothies, kale in salads (I eat kale every day in my lunch salad!) but my favorite kale recipe is KALE PESTO!!! 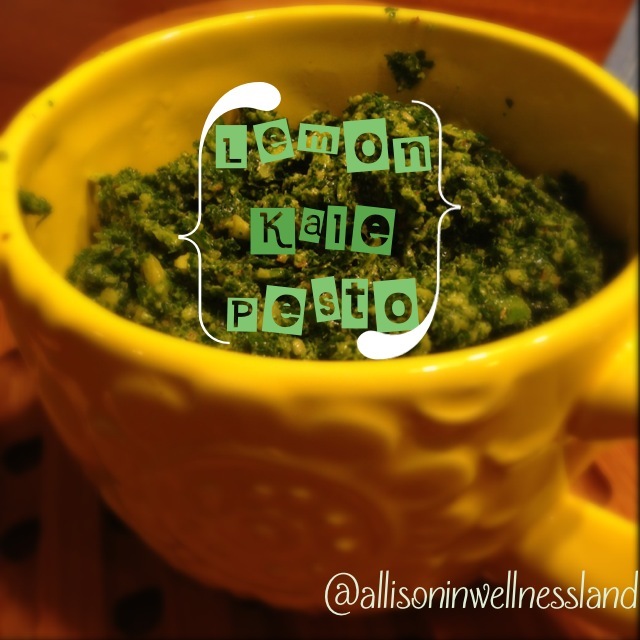 Holy yum Wellnessland this pesto is great for kale lovers and kale-questioners alike! I made this for the first time last winter and really loved it, the flavors are amazing & it really is good on ANYTHING!! I adapted my kale pesto recipe slightly from THIS recipe. 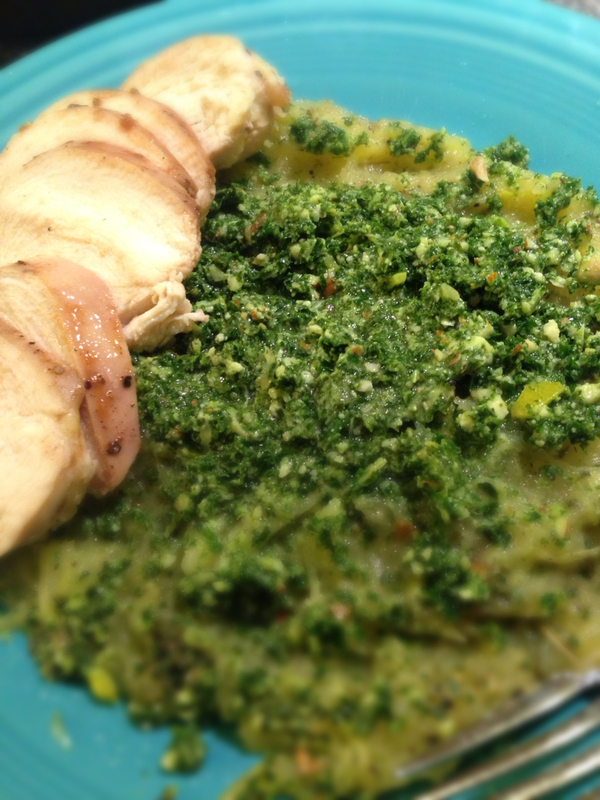 I made this pesto with my roasted spaghetti squash in mind! 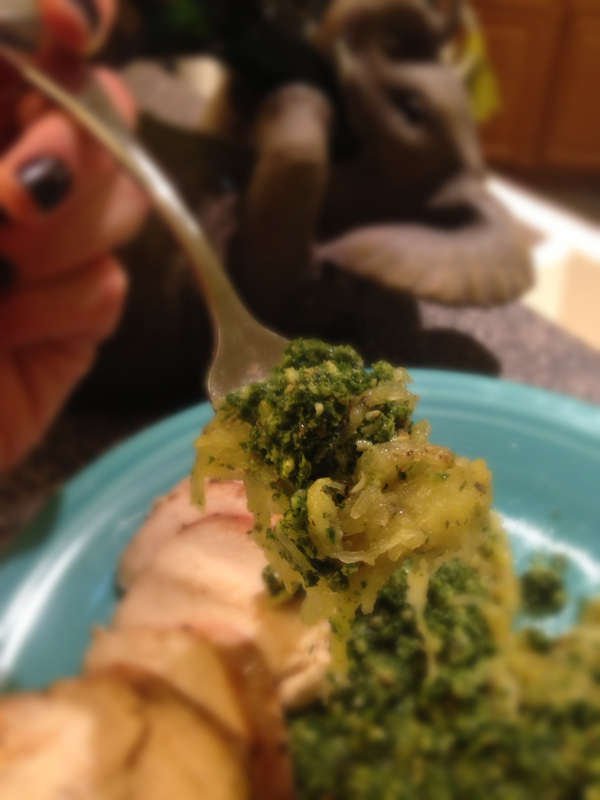 Kale Pesto on spaghetti squash & side of chicken breast! However this is great on ALL noodles, would be great on grilled chicken or even just a cracker! It is seriously great! For my Kale Pesto Spaghetti Squash… I took a cup or so of previously roasted squash, added some spices ((dill, Italian seasoning, pepper and parsley)), and smooshed it into a pancake. I put my pancake into a sauté pan to heat through, then topped with approx. 2 tbsp of kale pesto covered and let it start to heat up. THEN I ate it! I had some baked chicken leftover from lunch prep so I had ½ of a chicken breast too! 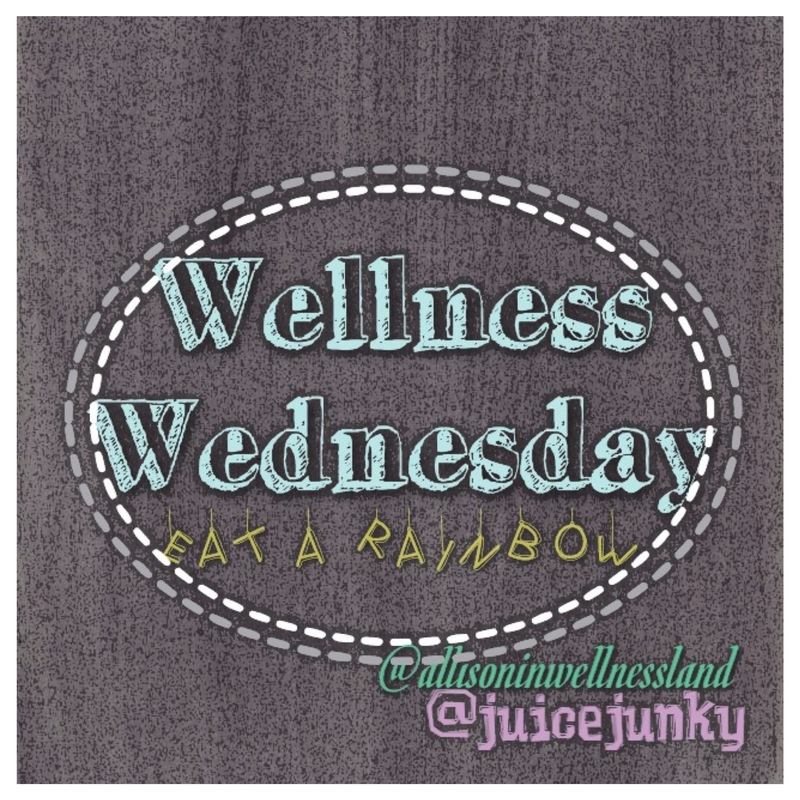 I hope you enjoyed my rainbow Wednesday kale edition & have a fantastic rest of the week!! I’d Love To Know ~~ Whats your favorite green food? Have you had any bad first time experiences with a food but fell in-love with it later?